I am fresh from the West when I join Northrop Frye’s graduate class at the University of Toronto in 1959. I know his reputation: Fearful Symmetry is twelve years old, Anatomy of Criticism barely two. Frye is already approaching canonization in the world of literary criticism and celebrity status at the University of Toronto. What comes as a shock is his appearance. He enters the room so unobtrusively it is as though he simply materializes from behind the podium, one eye eagle sharp as it surveys the room, the other with a slightly drooping eyelid as if out of shyness. Or is it irony? Setting Blake’s Collected Works, his only prop, on the podium and gazing at us through glasses that seem to be the wrong prescription, he falls short of the glamorous figure I had anticipated. Then moments after he begins speaking I forget where I am. I am hearing things as if in a foreign language, yet I seem to understand. As one startling idea follows another I am dazzled by the reach of his mind. At the end of class I haltingly approach him and am granted an interview to discuss my proposal for a term paper. I’m nervous. It is one thing to sit in the relative anonymity of a classroom, quite another to sit across from him face to face. The doorway between the marble hallway and the hardwood floor of his office in old Emmanuel College has a slightly raised sill I fail to notice. I catch my toe on it and trip. In an effort to regain my balance, I lunge forward, stopping just before crashing into his desk. He looks up in alarm, rising half from his chair as if to fend off a tackle. It is an unpropitious beginning for my proposed topic: William Blake and the Dynamics of Energy and Order. The imposing yet aloof man I met that day (once he settled back in his chair) was nothing like the man I am coming to know all these years later as I read away at U of T Press’s mammoth publishing enterprise, The Collected Works of Northrop Frye. I am especially interested in the diaries and letters and notebooks that bring out his personal side, and not just one side but many—the self-confessed physical coward, the self-confessed genius, the frustrated novelist and unfulfilled composer, the reluctant introvert and what many would call the dangerous heretic. Most of all I was surprised by his liberal use of what he playfully called dirty words, which would have shocked his orthodox Methodist family and no doubt did shock some of his Victoria College contemporaries. I remember when I was young feeling the same surprise when I learned that Roosevelt had a mistress. Statement for the Day of my Death. The twentieth century saw an amazing development of scholarship and criticism in the humanities, carried out by people who were more intelligent, better trained, had more languages, had a better sense of proportion, and were infinitely more accurate scholars and professional men than I. I had genius. No one else in the field known to me had quite that. Could these be the words of a braggart? Given what I remember as a student and what I’m learning of the man today as I go through the notebooks, all I can do is applaud him for acknowledging his gift and having the courage to declare it. Nietzsche was right. It is impossible to be a genius and not know it. This entry was posted in Guest Bloggers, Memoir on January 24, 2010 by Guest Blogger. I remember where I was when Norrie died. My wife cried out something or other, and told me she had just heard on the CBC the news, that “Northrop Frye is dead.” It was definitely a shock. He was, I was going to say, so young. By today’s standards, he wasn’t that old. But he was gone, and that wonderful voice of wisdom and of unparalleled scholarship was gone, too. The conference planned to celebrate his 80th birthday became a conference of retrospection on his career. But Northrop Frye had already been dead for some time. Not dead physically, of course, but dead in terms of his reputation, in terms of influence, in terms of his place in the intellectual world. And nowhere was his reputation more collapsed than in the country of his birth and that earlier had been proud to claim him as his own, Canada. Frye, as Bob Denham has reminded us, was for a time one of the most cited thinkers. For a period he had remarkable influence in the academy—and not just in the academy, but in society more generally, especially Canadian society. After all, nobody had more influence on the formation of Canadian literature as a discipline, and Canadian studies more generally, than he did. He was a “public intellectual,” consulted by the Trudeau government, appearing on television, even consulted in the development of Expo 67 in Montreal. But Frye’s influence vanished astonishingly rapidly. Outside of Blake studies, his influence was intense but brief, beginning more or less with the publication of Anatomy of Criticism, and abruptly ending in the mid 70s in the centres of academic power, where it counts. Bloom’s A Map of Misreading, basically a repudiation of Frye, is the indicator that the academic establishment would no longer tolerate Northrop Frye. He was out. Derrida was in. Viewed more closely, Frye was always more popular with students than with academics. For academics, there was always something uncomfortable and even unacceptable about Frye, and that explains, in part, why his reputation dwindled and disappeared as rapidly as it did. Now, if you cite Frye favourably in a conference paper or an article or in some other academic setting, the likely reaction of your audience will be disbelief, if not open ridicule. Canadianists have long since repudiated his ideas about Canada, and the once-famous Conclusion to a Literary History of Canada is now treated as colonialist bric-a-brac. I hope I am exaggerating. Yes, Frye is dead, in more than one sense. True, there is a group of what Professor Denham calls “keepers of the flame,” but apart from a rather small (older) group, interest is feeble. Last spring, at Carleton University, I met with Joseph Adamson and Michael Happy at the annual Social Sciences / Humanities Congress. We wanted to find a way to stimulate interest in Frye, to bring back a focus on his work that would actually do justice to this vital thinker. For years I’ve been wanting to start a journal on Frye-related concerns. I wanted to get young people interested in Frye—really, to acquaint a new generation with this powerful and interesting thinker. I wondered if a society should be formed. Joe and Michael had similar ideas and wishes, and Michael had the brilliant idea of starting a blog, which you see here, and which has thrived mightily under the direction of Michael and Joe. What I wanted, and what I believe they wanted, too, was not just a memorializing-biographical-bibliographical approach to Frye, but a forum which would stimulate interest in the sort of ideas that Frye worked with, that would develop and apply, and explicate in a fair and creative way, what Frye did, what Frye thought. Frye has been so misrepresented, so caricatured and distorted, that the actual content of his ideas has rarely been discussed or given a real hearing. In my own work, as his last Ph.D. student, I have always intended to follow his lead in developing the sort of ideas he pioneered, and my books Male Envy and 13 Ways of Looking at Images, though superficially very different from Frye, are yet, in my view, in the direct line of his thought. To me, the extraordinary defacement of Frye’s thought is in itself a subject of deep interest. Why is Frye not accorded the proper attention that a thinker of his depth and originality deserves? I have always believed that there is something actually threatening about Frye, especially in the academy. I wonder if others share this view. And I wonder what we can do about it. Bring on the new generation! This entry was posted in Memoir on January 24, 2010 by Guest Blogger. Today we are commemorating the 19th anniversary of Frye’s death on January 23rd, 1991. It is only fitting, therefore, that our regular Saturday night music video feature the work of the well-tempered critic’s favorite composer: Bach’s “Fugue in E Major”, The Well-Tempered Clavier, Book II. This entry was posted in Video on January 23, 2010 by Michael Happy. This entry was posted in Video on January 23, 2010 by Joseph Adamson. This entry was posted in Quote of the Day on January 23, 2010 by Michael Happy. This entry was posted in Bob Denham, Notebooks on January 23, 2010 by Bob Denham. Abbate, Gay. “Frye’s Legacy: Scholarship, Loyalty, Humanity: Lighting a Path for Those Who Follow.” University of Toronto Bulletin 4 February 1991: 6–7. Abley, Mark. “One of Canada’s Foremost Intellectuals Dead at 78.” Whig‑Standard (24 January 1991): 3. “Anatomising Literature” The Guardian [London and Manchester] (25 January 1991): 39. Atwood, Margaret. Canadian Literature 129 (Summer 1991): 242–3. ________. University of Toronto Quarterly 61, no. 1 (Fall 1991): 4–5. Appears also in Vic Report 19 (Spring 1991): 7. ________. “The Great Communicator.” Globe and Mail (24 January 1991): C1; rpt. in Journal of Canadian Poetry 6 (1991): 1–3. ________. [Tribute]. Brick 40 (1991): 3. Barnes, Bart. “Canadian Literary Critic Northrop Frye Dies at 78.” Washington Post (24 January) 1991: D6. Barilli, Renato. “Frye, corsi e ricorsi della letteratura.” Corriere della Sera (27 January 1991). Bemrose, John. 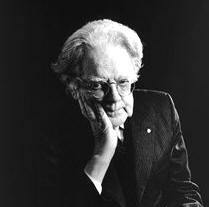 “The Great Decoder: Northrop Frye Explored Culture’s Myths.” Maclean’s 104 (4 February 1991): 51–2. Bevington, David. “Northrop Frye.” American Philosophical Society, Proceedings 137, no.1 (March 1993): 125. Bissell, Claude T. The Independent [London] (26 January 1991): 12. Appears also in Vic Report 19 (Spring 1991): 10. ________. “Northrop Frye Remembered.” University of Toronto Magazine 18 (Spring 1991): 10. ________. University of Toronto Quarterly 61, no. 1 (Fall 1991): 8–9. Brown, Gord. “Norrie’s Wisdom Lives on in His Writings and Students.” the newspaper [University of Toronto] (30 January 1991): 5. Buckley, Jerome. “Northrop Frye Remembered by His Students.” Journal of Canadian Poetry 6 (1991): 4. 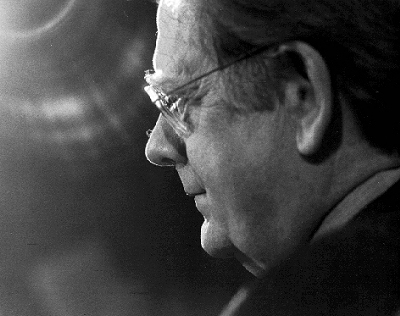 C., G. “Northrop Frye, dalla Bibbia alla civiltà della parola.” La Stampa (25 January 1991). C., R. “É morto Frye l’innovatore.” La Nazione (25 January 1991). Chamberlain, Ted. University of Toronto Quarterly 61, no. 1 (Fall 1991): 9–10. Appears also in Vic Report 19 (Spring 1991): 11. Christian Century 108 (20–27 March 1991): 321. Cook, Eleanor. “Northrop Frye as Colleague.” Vic Report 19 (Spring 1991): 18. Cooley, Dennis. 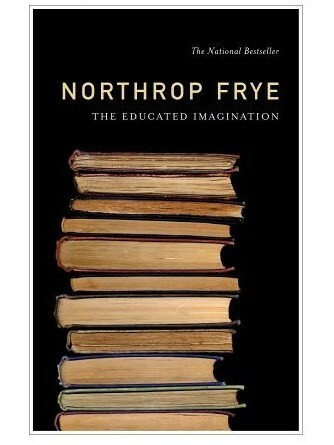 “The Educated Imaginer: Northrop Frye (1912–1991). Border Crossings 2 (April 1991): 78. Cosway, John. “Changes.” The Sunday Sun [Toronto] (27 January 1991): 109. “Critic Northrop Frye Dead at 78.” Toronto Star (23 January 1991): 28. Dahlin, Karina. “ U of T Remembers Its Greatest Humanist.” University of Toronto Bulletin (4 February 1991): 1–2. Denham, Robert D. “Northrop Frye: 1912–1991.” Blake: An Illustrated Quarterly 24 (Spring 1991): 158–9. Downey, Donn. “Literary Scholar Regarded as Great Cultural Figure.” Globe and Mail (24 January 1991): D6. Fabiny, Tibor. “Érdekeltség és szabadság” [“Concern and Freedom”]. Nagyvilág (December 1991). Fisher, Douglas. “A Frydolator Remembers.” Toronto Sun (25 January 1991): 11. ________. “Frye was Right about Quebec.” The Sunday Sun [Toronto] (27 January 1991): C3. Fletcher, Angus. “In Memoriam. Northrop Frye (1912–1991).” New Vico Studies 9 (1991): 153–4. Flint, Peter. “Northrop Frye, 78, Literary Critic, Theorist and Educator, Is Dead.” New York Times (25 January 1991): B14. Foley, Joan. University of Toronto Quarterly 61, no. 1 (Fall 1991): 6. Appears also in Vic Report 19 (Spring 1991): 8. Forst, Graham. “Remembering Norrie, Critic and Teacher.” Vancouver Sun (26 January 1991): D24. “Frye, Herman Northrop.” Current Biography 52, no. 3 (March 1991): 60. “Frye’s Genius Recalled in Tributes.” Toronto Star (24 January 1991): D1. Fulford, Robert. “Frye’s Soaring Cathedral of Thought.” Globe and Mail (26 January 1991): C16. Garrido-Gallardo, Miguel Angel. “Northrop Frye (1912–1991).” Revista de Literatura 53 (January–June 1991): 175–7. Globe and Mail (25 January 1991): D8. Guarini, Ruggero. “Una vita per due gemelle, bellezza e verità. . . .” Il Messaggero (25 January 1991). 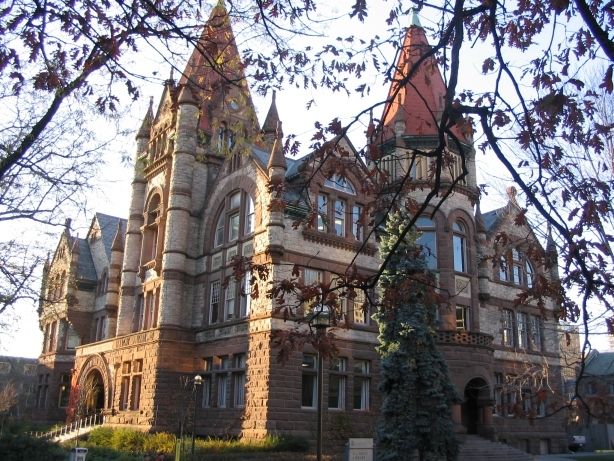 Hamilton, A. C. University of Toronto Quarterly 61, no. 1 (Fall 1991): 10–11. Appears also in Vic Report 19 (Spring 1991): 11. ________. “Northrop Frye: 1912–1991.” Quill & Quire 57 (March 1991); rpt. in Journal of Canadian Poetry 6 (1991): 5–7. Harron, Don. “A Memory of Frye.” Vic Report 19 (Spring 1991): 19. Hartley, Brian. “Life in the Resurrection: Remembering Northrop Frye.” Herald (March, 1991). Hoffman, John. University of Toronto Quarterly 61, no. 1 (Fall 1991): 2. Appears also in Vic Report 19 (Spring 1991): 4. Jensen, Bo Green. 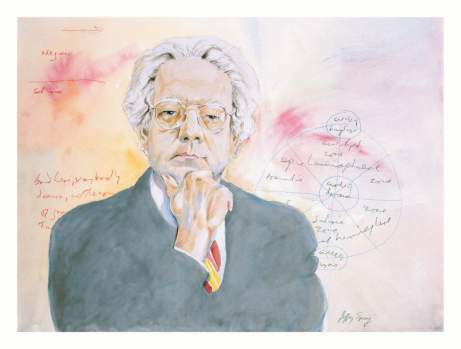 “Kritikeren, Northrop Frye, 78 †r.” Weekendavisen [Denmark] (1 February 1991). Johnston, Alexandra F. University of Toronto Quarterly 61, no. 1 (Fall 1991): 14–15. Appears also in Vic Report 19 (Spring 1991): 15. ________. “In Memoriam: Chancellor Northrop Frye.” Victoria College Council, Minutes of the Meeting of 11 February 1991. Typescript. 3 pp. J[ohnson], P[hil]. “A Tribute to Northrop Frye.” Pietisten 6 (April 1991): 5. Juneau, Pierre. “The Power of Frye’s Words.” The Financial Post (28 January 1991): 8. ________. University of Toronto Quarterly 61, no. 1 (Fall 1991): 13–14. Appears also in Vic Report 19 (Spring 1991): 14. Kenner, Hugh. “Northrop Frye, R I P.” National Review 43 (25 February 1991): 19. Kushner, Eva. University of Toronto Quarterly 61, no. 1 (Fall 1991): 12–13. Appears also in Vic Report 19 (Spring 1991): 13. Laux, Cameron. The Independent [London] (30 January 1991): 13. Lee, Alvin. “Northrop Frye: 1912–1991.” The McMaster Courier (12 February 1991): 5. ________. University of Toronto Quarterly 61, no. 1 (Fall 1991): 11–12. Appears also in Vic Report 19 (Spring 1991): 12. Lee, Hope. “Tribute to Northrop Frye.” Presented on the CBC Sunday Morning Program, 27 January 1991. Typescript, 1 p.
“Literary Critic Dies.” Richmond Times-Dispatch (24 January 1991): B2. “Literary Critic Rode Subway Daily to Work.” Niagara Falls Review (24 January 1991): 7. Lombardo, Agostino, Baldo Meo, and Piero Boitani. “Il Pagione [A Tribute to Frye].” Broadcast on Italian Radio—RAI, 19 February 1991, at 4:30 p.m.
McBurney, Ward. University of Toronto Quarterly 61, no. 1 (Fall 1991): 6–7. Appears also in Vic Report 19 (Spring 1991): 89–9. McGibbon, Pauline. University of Toronto Quarterly 61, no. 1 (Fall 1991): 4. Appears also in Vic Report 19 (Spring 1991): 6. McIntyre, John P. “Northrop Frye (1912–91).” America 165, no. 1 (6 July 1991): 14–15. Marchand, Philip. “Frye Really Believed that Literature Could Save Society.” Toronto Star (24 January 1991): D1. ________. “Premier, Friends Pay Tribute to Northrop Frye.” Toronto Star (30 January 1991): E1, E6. Meo, Baldo. 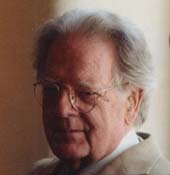 “Northrop Frye e i nuovi furori della critica letteraria.” l’Unita 25 (January 1991): 19. Miller, Daniel. “Northrop Frye Remembered by U of T.” the newspaper [University of Toronto] (30 January 1991): 10. Moriz, Andre. “Northrop Frye Tribute Service Draws 800.” The Varsity [University of Toronto] (31 January 1991): 12. “La morte in Canada di Frye: critica e società.” Il Gazzettino [Venice] (25 January 1991). “É morto Northrop Frye teorico della letteratura.” Corriere della Sera (25 January 1991). “É morto il critico Northrop Frye.” Il Giornale (25 January 1991). “É morto il critico Northrop Frye.” Il Tempo (25 January 1991). “É morto a Toronto Northrop Frye risalì al ‘profondo’ dell’opera letteraria.” Gazzetta del Sud (25 January 1991). “Morto critico litterario canadese Northrop Frye.” ANSA News Agency, Rome (24 January 1991). Mulhallen, Karen. “In Memoriam, Northrop Frye, 1912–1991, R.I.P.” Descant 21–22 (Winter–Spring 1990–91): 7. Newsweek (4 February 1991): 76. “Northrop Frye.” St. Louis Post-Dispatch (24 January 1991): 4C. “Northrop Frye.” The Daily Telegraph (25 January 1991): 19. O’Malley, Martin. “The Ordinary Side of an Extraordinary Man.” United Church Observer (March 1991): 16. Nolan, Nicole, and Hilary Williams. “Memorial for Frye.” The Strand [Victoria University] (30 January 1991): 1. “Northrop Frye.” Times [London] (26 January 1991): 12. “Northrop Frye 1912–1991.” Toronto Star (1 November 1992): 70. “Northrop Frye.” Toronto Star (24 January 1991): A26. [Editorial]. Outram, Richard. “In Memory of Northrop Frye.” Globe and Mail (16 February 1991): C16; rpt. in Northrop Frye Newsletter 3, no 2 (Spring 1991): 36. Pentland, Howard. University of Toronto Quarterly 61, no. 1 (Fall 1991): 15–17. Appears also in Vic Report 19 (Spring 1991): 17. Placido, Beniamino. “É morto Northrop Frye.” La Repubblica (25 January 1991). Prichard, Robert. University of Toronto Quarterly 61, no. 1 (Fall 1991): 2–3. Appears also in Vic Report 19 (Spring 1991): 4. Rae, Bob. University of Toronto Quarterly 61, no. 1 (Fall 1991): 3–4. Appears also in Vic Report 19 (Spring 1991): 5. Reaney, James. “Northrop Frye: He Educated Our Imagination.” Toronto Star (24 January 1991): A27. “Remembering Frye.” Globe and Mail (26 January 1991): C10. Saddlemyer, Ann. University of Toronto Quarterly 61, no. 1 (Fall 1991): 7–8. Appears also in Vic Report 19 (Spring 1991): 9. Sewell, Gregory. “Literary Critic Northrop Frye Dead.” Varsity [University of Toronto] (25 January 1991): 1. Stefani, Claudio. “Il molto reverendo Frye.” Il Resto del Carlino (25 January 1991). Stone, George Winchester. 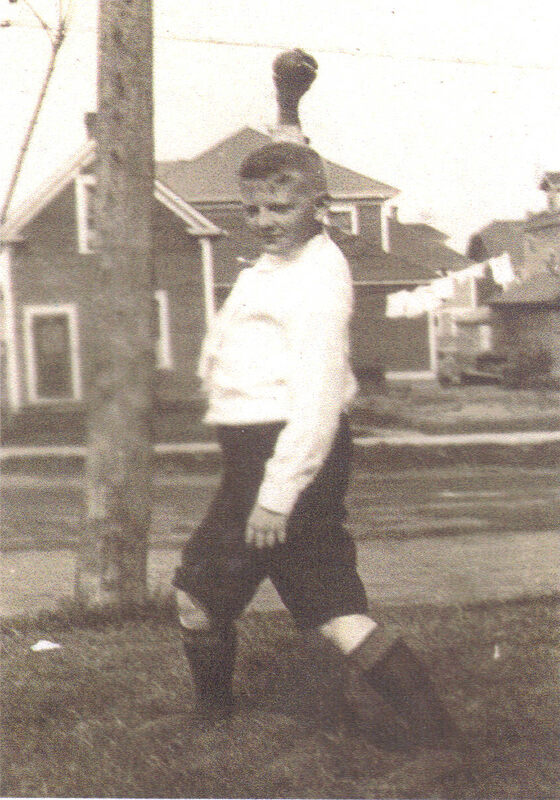 “Herman Northrop Frye (14 July 1912–23 January 1991).” PMLA 106, no. 3 (May 1991): 564, 566. Stuewe, Paul. “Northrop Frye, 1912–1991.” Books in Canada 20, no. 2 (March 1991): 9. Teskey, Gordon. “Eulogy of Northrop Frye.” Annual Dinner of the Milton Society, San Francisco, 28 December 1992. Typescript. 4 pp. 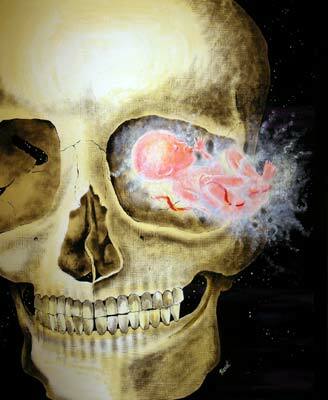 Theall, Donald F. “In Memoriam.” Science Fiction Studies 18, no. 2 (July 1991): 288–90. Thompson, Clive. “Frye First and Foremost a Great Teacher.” The Strand (30 January 1991): 5. Time (4 February 1991): 61. Toronto Star (26 January 1991): D7. Tredell, Nicholas. “Northrop Frye.” PN Review 17 (May–June 1991): 8. Vega, María José. “La Literatura como Orden: En la muerte de Northrop Frye.” Revista de Extremadura (Segunda época) 9 (September–December 1992): 71–4. Weinbrot, Howard. “On Northrop Frye in Minneapolis, 1990. A Memorial.” Johnsonian News Letter 50 (September & December 1991): 39–5. This entry was posted in Bob Denham, Memoir, Works about Frye on January 23, 2010 by Bob Denham. Obituary, The New York Times. This entry was posted in Notebooks on January 23, 2010 by Michael Happy.